Founder and current CTO of Juniper Pradeep Sindhu says he will reduce his role at the company to focus on developing technology for a startup he co-founded in 2015 called Fungible. On his Juniper blog Sindhu wrote: I am equally passionate about the success of Juniper Networks, the company I founded in 1996. I believe that the technology I am working on at Fungible, in conjunction with Juniper's technologies, have the potential to revolutionize the industry. This is why Juniper has invested in Fungible. I am confident in Rami Rahim’s [Juniper CEO] continued leadership and I will transition to the role of Chief Scientist at Juniper Networks so that I can devote more time to my duties as Chief Executive Officer of Fungible. I will play an active role in the search for Juniper’s next Chief Technology Officer (CTO) and will continue to serve as CTO until Juniper finds a suitable replacement. I am very much looking forward to working with the new CTO at Juniper in my new role as Chief Scientist. In connection with our upcoming annual meeting in May, I plan to transition from Vice Chairman of Juniper's Board of Directors to Technical Advisor to the Board. I remain fully committed to Juniper's continued success. Fungible is in stealth mode and its web site describes its purpose as to “Revolutionize the Economics, Security, and Reliability of Data Centers.” Investors include Mayfield, Walden and Battery Ventures. On his Juniper bio, it says prior to founding Juniper Networks in 1996, Sindhu was a Principal Scientist and Distinguished Engineer at the Computer Science Lab at Xerox's Palo Alto Research Center (PARC), where he worked on design tools for VLSI and high-speed interconnects for shared-memory multiprocessors. His key roles in the architecture, design, and development of these machines led to the commercial development of Sun Microsystems' first high-performance multiprocessor system family, which included the SS1000 and SS2000. Juniper recently introduced what it calls the third pillar of its Unite architecture – the previous two focusing on enterprise and branch office networking. Unite Cloud combines Juniper’s switches and software to simplify management and growth of corporate cloud computing. Unite Cloud helps Juniper push into a growing market of cloud infrastructure players that pits it against the likes of Cisco, Huawei and others. -Added a managed cloud implementation service -- Contrail JumpStart – to help customers implement and deploy Juniper’s cloud infrastructure. 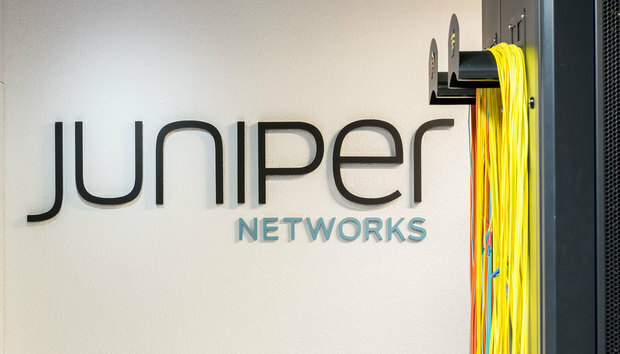 Juniper says JumpStart services include installation and configuration for the software in a pre-defined environment, plus transfer of knowledge for the customer so they can start using and gaining experience with the software before full production deployment.